The Tech Trends: Fashion Meets Technology, 360Fashion and Tech Innovation Awards brought together the world’s most talented technology startups and guest speakers to look at technology trends through the lens of fashion. The event which was sold out, also engaged with delegates who were interested with the fashion and technology conversation. 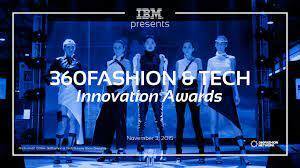 The 360Fashion Network produces the largest fashion technology events in Asia. It uses fashion communication to explain the most complex technologies, products, to paint the vision of the future and bring the future closer through our exhibitions and performances by experiencing it. In an evening of entrepreneurial innovation, The 360Fashion & Tech “Startup Runway & Innovation Awards” featured wearable technology products, fashion startups, and international apparel designers, representing the intersection of fashion and technology. While demoing products and viewing presentations, attendees, startups, early adopters and product users intermingled to continue the conversation around IBM Cloud and Bluemix software. Fashion is a comfortable environment for women to engage with technology. CBSegroup is a strong supporter of the pervasive technology trends interconnected with day to day activities.